You are currently browsing the category archive for the ‘thought leadership’ category. In his recently published book ‘Outliers: The Story of Success’, Malcolm Gladwell draws attention to research that suggests that it takes 10,000 hours of experience to become excellent in performing an activity. His rule of thumb is that this equates to something like 10 years of doing the activity for three hours a day. One example he gives is of a German music college where staff were asked to divide the students into three categories: the potential stars, the likely professionals, and those who would probably not become professional musicians. In interviewing the students, it became clear that their level of prowess on their instruments directly correlated with the amount of time they spent practicing. There were no brilliant musicians who simply winged it with little practice, and there were no students who put in the practice hours but just weren’t as good as their peers. 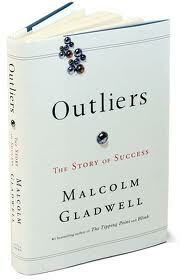 Gladwell uses this, and a range of other examples, to make the point that many of the people we think of as being outstanding – in fields ranging from composing and performing music to computer programming – are exceptional not because they are born with some innate genius, but through what they have made of themselves. They have had the determination to spend huge amounts of time developing their expertise, combined with the good fortune of having the opportunity to do this. I’ve been mulling over these ideas for a few weeks now, and have some suggestions about their significance both for leaders in organisations, and for everyone else. The most obvious point that Gladwell is making is: if you want to be really good at something then do lots of it. I think this is great advice. At the same time, I’m not convinced that simply doing lots of something is enough on its own to develop excellence – or perhaps I should say that you can only develop a certain sort of excellence through unthinking repetition. I’m sure each of us has spent a lot of time in our lives washing dishes, or undertaking other routine tasks, but I’m not sure many of us have become expert at them. I was reminded of this recently when I was asked “when was the last time you got in a car and thought ‘this is an opportunity for me to drive better than I did last time’?” I confess that my answer was never – or at least ‘not since I passed my test over 25 years ago’. The sad truth is that I haven’t spent 25 years becoming a progressively better drive, I’ve just become really proficient at being a mediocre driver! So, if you want to become a better leader (driver, dish-washer or whatever) you need to do more than just turn up and do the same as you always have. What you need to be doing is consistently asking yourself questions about how you could be improving, what you could be learning from your successes and failures, and those of your peers and competitors. Just putting in the hours isn’t enough on its own. On the other hand, you really do have to put in the hours. If there is something that you aren’t very good at, and you want to improve then there is no substitute for practice and experience. Unless you work at it, you’re not going to get any better at dealing with difficult customers, badly run meetings, your own states of mind, etc, etc. I’m afraid there really isn’t any way around this one – although of course you can always practice through role plays and in other less crucial contexts, so that you’ve improved your skills when you have to face real situations. As Gladwell observes, these people didn’t get excellent by working hard, or even working very hard, they worked very, very hard! And of course, you do need to have some talent and interest too. There’s a virtuous circle here: it’s much easier to put in a lot of effort when you’re engaged and interested in what you’re doing. I’ll always be a better singer than drummer, not least because I’m much more interested in singing than drumming, and so my energies have naturally flown in that direction. I had a client once who was crestfallen that he wasn’t going to be manager of the year. I didn’t do a very good job of explaining to him that his brilliance as a theoretician and problem solver had led to him developing a set of skills that were essential to the organisation, but not at all people focused. He could become manager of the year, if he worked very, very hard at it over a number of years, but it was hard to see that the effort require to achieve this would serve either him or his organisation well – it would mean that he had little energy left to do anything else. So, while it is always useful to be widening your range of skills, if you try to sail directly against the wind you’ll almost certainly take on so much water that you sink.